TRIMS is a crowd-sourced facility for traders and general citizens to send anonymous, structured text (SMS) messages to a public website to report non-tariff barriers encountered such as artificial check points, bribery solicitations and other forms of harassment leading to delays and increasing the cost of essential goods such as perishable food items, agricultural goods and small appliances. The Office of the Special Adviser on Millennium Development Goals Ogun State, the Ogun State Council of Chambers of Commerce, Industry, Mines and Agriculture (OGUNCCIMA) and the Deutsche Gesellschaft für Internationale Zusammenarbeit (GIZ) have launched an initiative aimed at combatting trade bottlenecks, by putting in place a Trade Route Incident Mapping System (TRIMS). This system will be implemented in collaboration with a multi-stakeholder consortium consisting of civil society organisations, faith-based organisations, mobile network operators, media and other relevant and committed actors from the public, private and civil society sector. Similar SMS phone based crowd-sourced initiatives have been used extensively in several countries in Africa where crisis mapping, election monitoring and some trade barrier reporting have been successfully demonstrated resulting in better policies and shift in practices. TRIMS however is unique for the notoriously clogged west african trade corridor where the so called non-tariff barriers disproportionately impact poor traders and increase the cost of trucking basic essentials. It is no secret that for several countries in the region its easier for them to trade with the rest of the world than with each other. 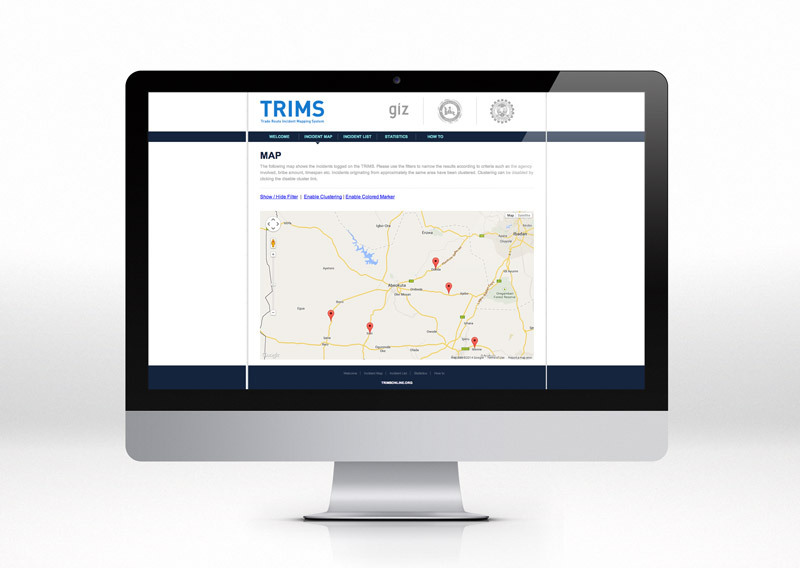 TRIMS hopefully offers a quick and simple way for these traders to have a voice and publicly share information to create a credible threat of detection of corruption prevalent within several agencies.